Conor Drum will soon be bringing his notorious quips to the Maltese stage for the next Eden Comedy Club event. Interview by Ramona Depares. How do you describe your type of humour? My type of humour is observational and involves storytelling. I talk about things that have happened in my life. Tell us a funny one-liner. When did you know that you were going to be a comedian? I was always pretty good at making people laugh... at least I think I was. As for becoming a stand-up, I thought I could do it one day but I just didn’t know where to begin. I was also pretty scared of going for it. It’s one thing being funny in the pub with friends, when you can pick and choose your moments to speak. But it’s very different being on stage alone and trying to make an entire room laugh, with just what you say. And if you weren’t a comedian, you’d be...? If I could answer that I would be doing it. Honestly, being a comedian is fun but it takes a long time to get good – and an even longer time to make a living from it. That is, if you ever do. I do acting and some writing too, though. Is there such a thing as a joke going too far? A joke only goes too far when it’s not funny. But even if it’s not, if the intention was to be funny, then it’s okay. I don’t like the idea of censoring comedy. Do you remember your first time on stage? Describe what happened. My first time on stage was as a member of the Lollipop Guild, a local drama production of The Wizard of Oz. I was six or seven years old. I had my arm in a cast and they stuck a lollipop to it. I remember that the rest of the ‘guild’ got stagefright. I had to sing We are the Lollipop Guild on my own. I was scared, I messed up the lines, but worse… it felt disingenuous and not true to the play. I let the audience down. I should have sung ‘I Am a Lollipop Guild Representative’ or something similar, instead. What’s the worst heckle you’ve ever had? At my first stand-up gig I got in a fight on stage. There were very few people in the audience. But one very loud, very drunk man kept shouting every time I told a joke. With every punchline he shouted some profanity at me, calling me a loser and a waste of space. It was tough. I got through it. It made me more determined to come back and do better. And thankfully I kept going – I didn’t let that experience put me off. But, I’ll never invite my dad to another gig. Who’s the funniest person you know – and why? This is a tough question. All of my friends are funny. I can’t stand when someone doesn’t have a good sense of humour. By good sense of humour I mean – find me funny. I’m always taken aback when I meet someone who doesn’t enjoy laughing at life. How much of your jokes and shows are inspired by real life? Almost entirely. With some exaggeration for comic effect of course. A case in point is All My Friends Are Dead – it’s something we’ve all been through. How did your friends actually react to the show? All My Friends Are Dead was all about losing your friends to marriage and adulthood. I really don’t know how they reacted to the show. I haven’t spoken to any of them in a long time. They are all dead to me. Bastards. 2017 was an amazing year for me in comedy. At the beginning of the year I performed at a festival in Andorra, I got to go skiing for the first time, I loved it. The Edinburgh Fringe went swimmingly; it was my fifth appearance there and All My Friends are Dead was very well reviewed and attended. Also, I got to perform in South Africa, which was a phenomenal experience. But the real highlight for me was opening for Jeff Garlin of The Goldbergs and Curb Your Enthusiasm fame, for a sold-out run at the Soho Theatre in London. Malta – what three words pop in your head? I’ve Never Been. This is a tough question. I know Malta uses the euro, I know it’s got some amazing views and architecture and some decent weather. But the thing that pops into my head when I think of Malta is genuinely PRSTV. This is an acronym for ‘proportional representation by single transferable vote’. The reason I think of this is because Malta and my homeland Ireland are the only two countries in the world that use this form of electoral system. I just hope that Malta has had better luck than Ireland in avoiding electing incompetent morons into office. What should we expect from your show here? Well, what you’ll get from me will be a bit of observational humour and a story about a stage party that went very wrong – for the groom. It’s going to be a lot of fun and I’m really looking forward to it. 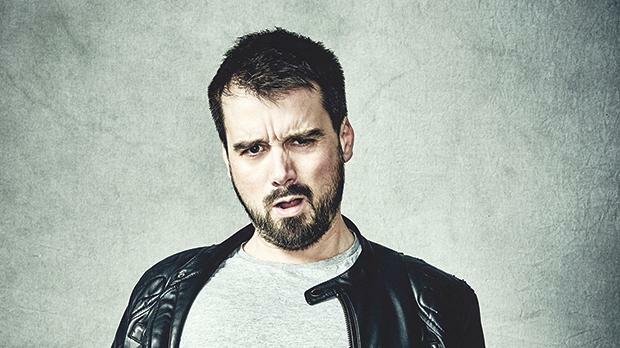 Conor Drum will be headlining the upcoming Eden Comedy Club together with Damian Kingsley and MC Matthew Baylis on February 23 at 8.30pm at Eden Cinemas, St Julian’s. Tickets are available from www.edencinemas.com.mt.